Trader's are always searching for that perfect moment to receive a clear buy signal. Now there is a tool for getting closer to tops and bottoms. Traders yearn for that magical moment when indicators line up to deliver a crisp buy signal. There’s nothing better than when the trading gods proclaim, “Back up the truck.” Once or twice a year this could happen with the Market Forecast indicator in thinkorswim® applied to the broader stock market. Fire up a chart in the thinkorswim trading platform. Under the Studies menu, select Market Forecast. This indicator is designed to help you identify buy-and-sell opportunities based on proprietary analysis across time. Looking at Figure 1, notice three time frames, represented by the Momentum (red), Near-Term (blue), and Intermediate (green) lines. Think of these lines as cycles across days, weeks, and months. Like other oscillators, the Market Forecast has extreme values that define “oversold” and “overbought.” Each line oscillates between 0 and 100. Values below 20 are oversold, and values above 80 are overbought. These oversold and overbought values apply to all three lines. FIGURE 1: GETTING FASTER BETA. 4 bullish cluster followed a rally in the SP 500 e-Mini(/ES) from 1850 to 2075. For illustrative purposes only. Past performance does not guarantee future results. Stars align when all three lines of the Market Forecast are in oversold or overbought territory. These signals are known as clusters. And clusters can be powerful entry signals. Bullish clusters. Looking again at the one- year, daily chart of the S&P 500 e-Mini (/ES), notice all three indicator lines “clustering” together well below a reading of 20, indicating a bullish cluster. This is where you’d look to consider bullish trades. Short-term bottoms in the stock mar- ket tend to be events, and tops tend to be a process. When a bottom forms, it’s usually within a day or two, and the subsequent rally off the bottom is fast. Such is the case with bullish clusters. When a bullish cluster ap- pears, the market can often respond quickly. Bearish clusters. Yet, tops take time to form. And it usually takes several days, or even weeks, before the market responds to bearish clusters. Bearish clusters form when all three lines of the Market Forecast are above 80. Notice the bearish clusters in November and March in Figure 1, and the time it took before the /ES eventually rolled over. Bullish and bearish clusters are just one of several signals generated by the Market Forecast indicator. There are other ways to apply this proprietary indicator to your trading. To access Market Forecast, log in to thinkorswim, then click Charts tab > Studies > Edit Studies. Then type in MarketForecast. Nothing presented by the Market Forecast indicator should be considered advice or a recommendation. TD Ameritrade does not guarantee that the forecasts will be accurate or generate profits. 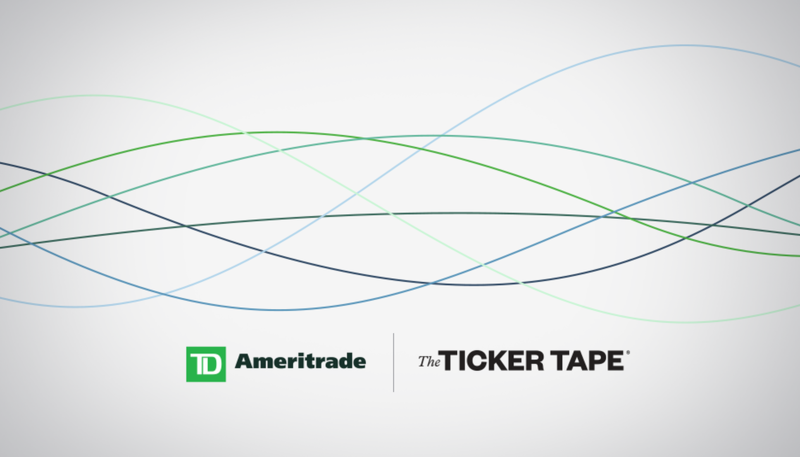 TD Ameritrade is not responsible for any losses that may result from the use of the Market Forecast indicator. Results are based on historical data, theoretical in nature, not guaranteed, and do not reflect any degree of certainty of an event occurring. Past performance does not guarantee future results.